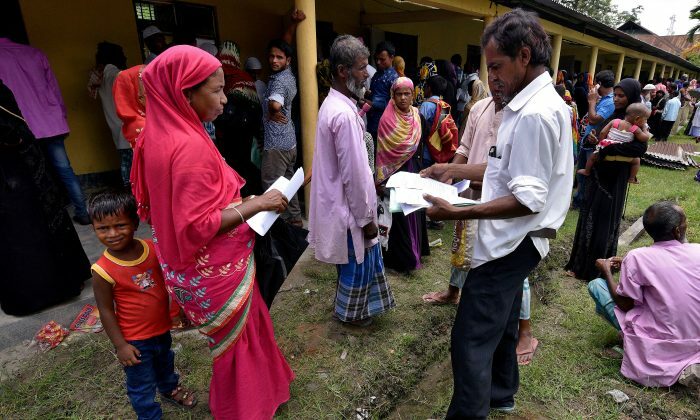 MUMBAI—India said on July 30 it had excluded more than 4 million people from a draft list of citizens in the border state of Assam who could not produce valid documents, a move that has sparked fears about the future of thousands in the region. Security has been tightened across the state, which borders Bangladesh, as thousands of Bengali-speaking Muslims worry about being sent to detention centers or deported, a Reuters witness said. The tea-rich state of Assam has long been the center of social and communal tensions with locals campaigning against illegal immigrants, a fight that Prime Minister Narendra Modi’s Hindu nationalist-led government has championed. “Based on this draft, there is no question of anyone being taken to detention centers or foreigners’ tribunal,” Sailesh, India’s census commissioner who uses only one name, told reporters in Guwahati, the state’s main city. Hundreds of thousands of people fled to India from Bangladesh during Bangladesh’s war of independence from Pakistan in the early 1970s. Most of them settled in Assam, which has a near-270 km (165-mile) border with Bangladesh. To be recognized as Indian citizens, all residents of Assam had to produce documents proving that they or their families lived in the country before March 24, 1971. Critics see the citizenship test as another measure supported by Modi’s Bharatiya Janata Party (BJP) aimed at minority Muslims. The BJP denies any bias but says it opposes a policy of appeasement of any community. “If the government has decided to brand us foreigners what can we do?” said Abdul Suban, 60, a Bengali-speaking Muslim, earlier.